Velvet Paw Creations: Ghostie "Boo" Bird ATC #1 for Day 1 of LCPtoC's Half-O-Ween! Ghostie "Boo" Bird ATC #1 for Day 1 of LCPtoC's Half-O-Ween! 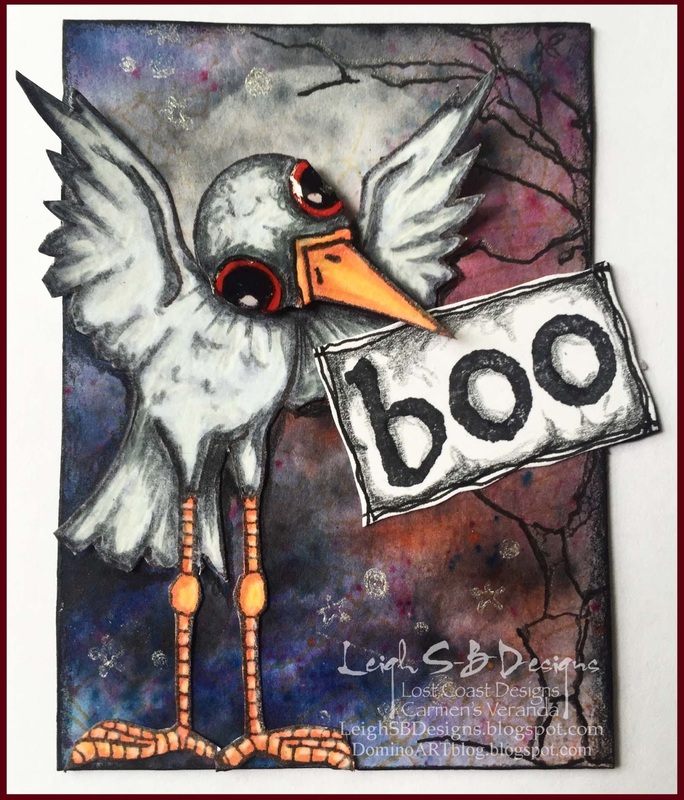 I gave you a teaser post yesterday and now here's a better look at Ghostie BOO Bird ATC #1! Whimsical Flora is one of 8 large birdies in Lost Coast Designs newest stamp line, Whimsical Birds by Doris Arndt and we also have 2 sets of mini Whimsical Birds too! She was stamped on Neenah cardstock with Tuxedo Black Memento ink, coloured with Copics and Prismacolor pencils and just the head was stamped a 2nd time. I fussy cut her out and adhered the head with a pop dot and applied Judikins Diamond Glaze to her eyes for extra dimension and shine. The yummy background was created with the fabulous Nuance Powders by Magenta now available in the Lost Coast Designs store. I then stamped a Spiderwebs background in Tea Dye Distress Ink and I created the pale moon using a hole punch as a mask and Cloud White VersaMagic ink. I then stamped the large and mini Cracked Tree in Onyx Black VersaFine ink and added shimmer and shine to the branches with Perfect Pearl (Perfect Pearls powder) applied with water and a paint brush. 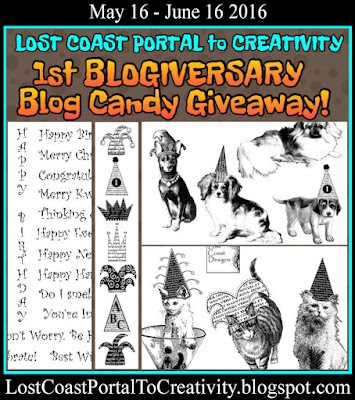 I also stamped the Cracked Grass and Sky with Brilliance Platinum Planet and the "boo" text was stamped with Old Type Writer Alphabet set in both lower and upper case, outlined with a black Micron pen and coloured with black Prismacolor. 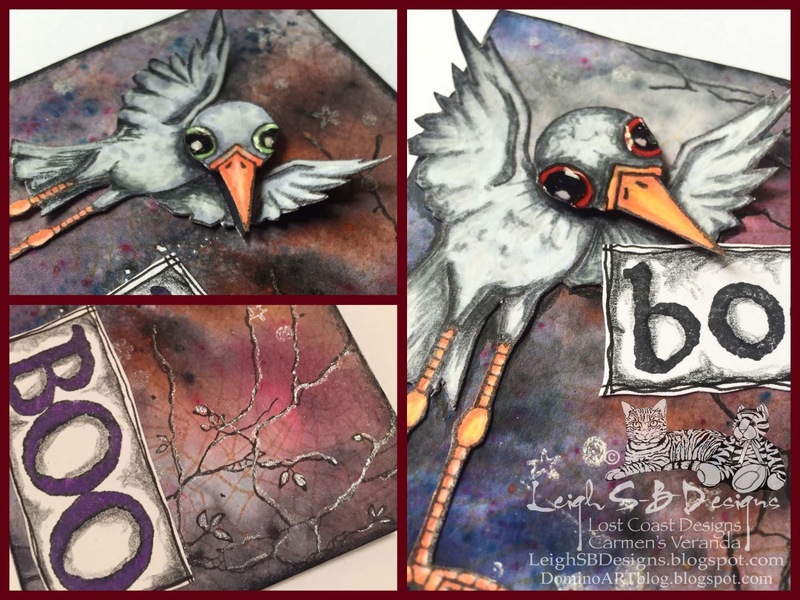 Absolutely adore your project Leigh, love the bird image, great design and fantastic colouring. Thank you for joining our first challenge at Dark n Daring, we hope you will join us again next month. Great ATC! 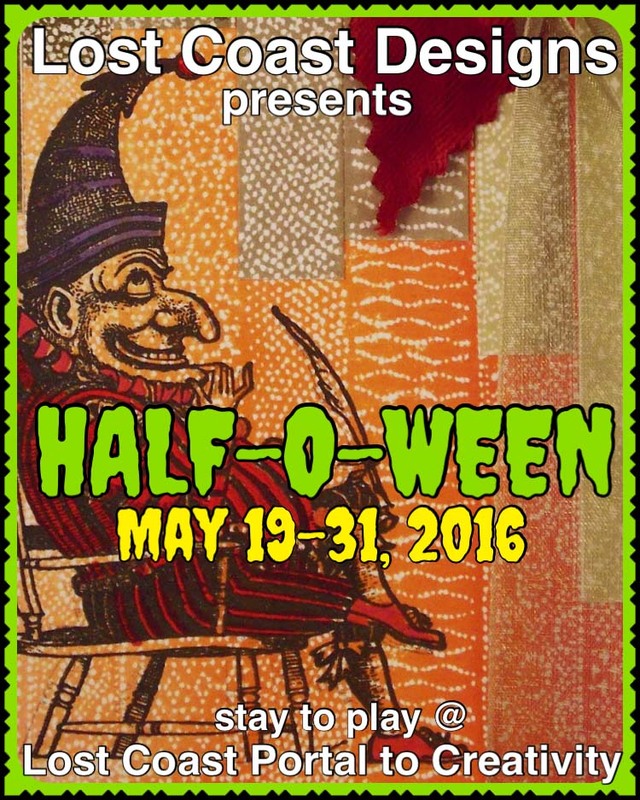 Thanks for sharing with us at Dark 'n' Daring! Brilliant ATC, love the new birds and it look SO good with a BOO. Thank you for joining Dream in Darkness.